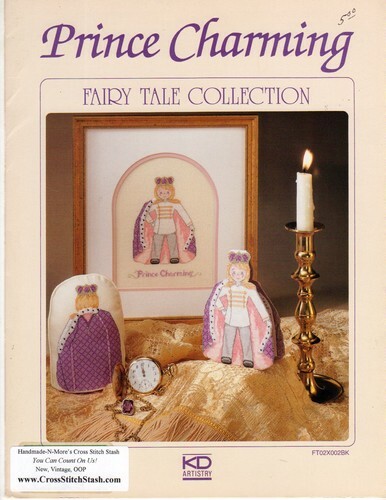 KD Artistry Prince Charming Fairy Tale Collection cross stitch leaflet. Can be made as a framed version, storybook doll, stuffed doll. Chart for front and back. Store sticker on cover.